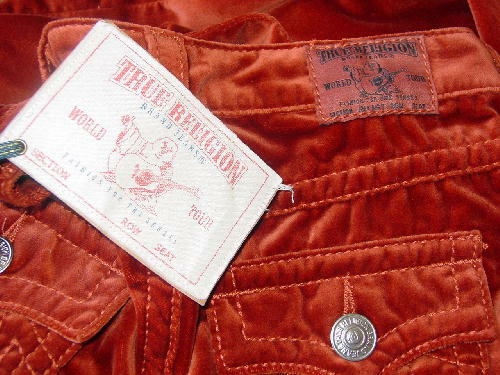 These never-worn (except for these pictures) True Religion velvet lowrise "Joey" Big-T style jeans are in a spice color. 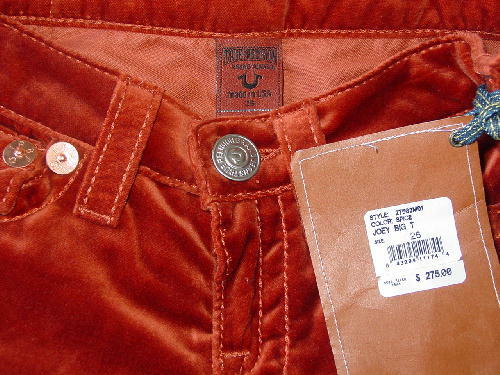 They're 100% cotton with stitching in Big-T tone-on-tone thread and has signature silver-tone buttons and copper rivets. There are three pockets in the front, with the watch pocket having a flap. the back has two large flap pockets and large belt loops. The front has a 2 1/4" long zipper fly. 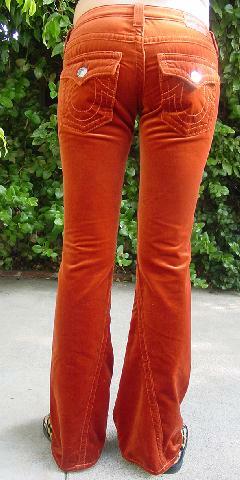 The tag says size 26. She bought several pairs for a photo shoot because she wasn't sure which size would fit the model. She said she paid $275 for each pair. 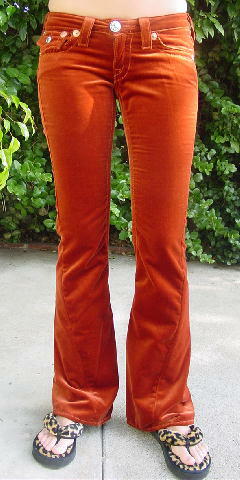 waist top side to bottom leg hem 42"
bottom leg opening side to side 9 1/2"